The 2018 event, which takes place on September 27, will mark the seventh annual Celebration under its new title. The Gala begins at 6:30 p.m., and will be held at the Penn Ryn Mansion, located at 1601 State Rd., Bensalem PA. The 2018 Royal Blue Gala will honor the Jack Techtmann, Daniel Morrin and Joe Taylor. 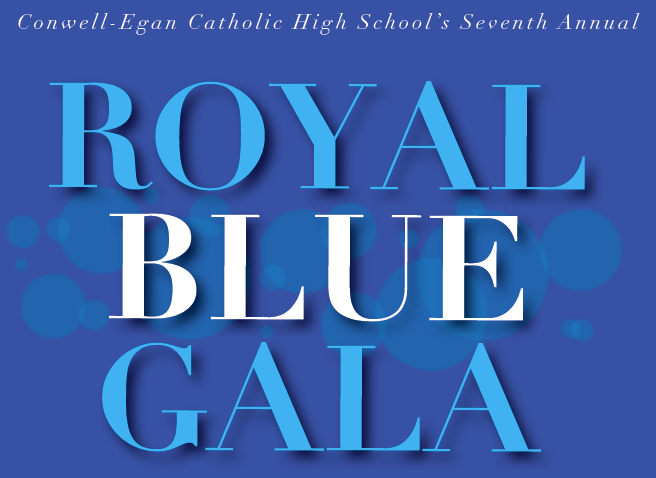 Conwell-Egan Catholic High School would like to invite all of our alumni and friends who have supported our community to attend or sponsor the 2018 Royal Blue Gala. It is a truly wonderful evening, showing how strong and capable our alumni network is. To purchase your tickets to the 2018 Royal Blue Gala, please click here. For questions regarding the 2018 Royal Blue Gala, please contact Mr. Bill Burns '73 at bburns@conwell-egan.org.